Surprise, surprise. I proved my own points (see them here, and here) this week while donning this outfit. I literally didn’t even consider my previous outfit posts, and inadvertently found myself wearing the Canadian tuxedo I mentioned. Oh, the irony. 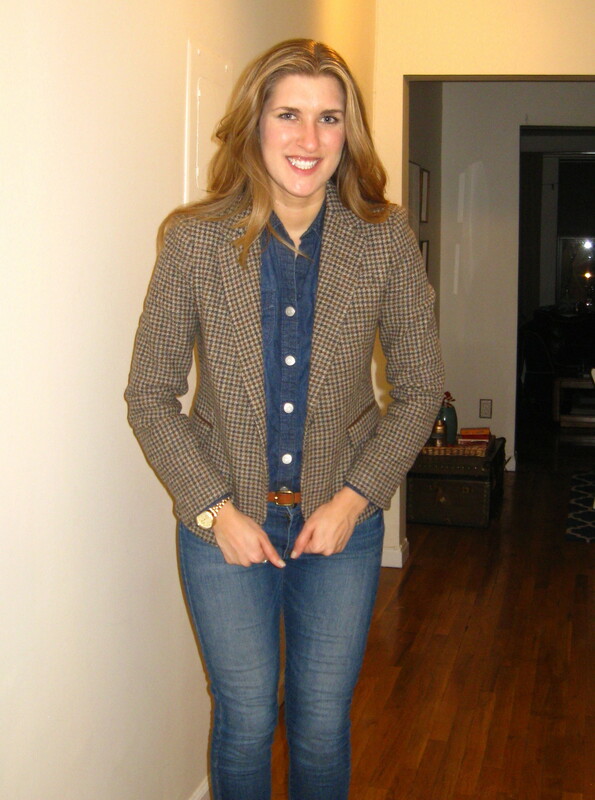 This jacket is a favorite from Zara last year, especially with it’s dusty old professor feel, elbow patches included. So my dears, have I provided any more outfit inspiration for you all? My two-part series has become a three-part one, so I hope the answer is yes. Enjoy your weekend and I hope there’s a touch of denim in there.